A new report by an influential British government committee says employers should make life easier for vapers by separating e-cigs from existing smoking policies and creating designated indoor vaping areas. However, the European Union refused to reconsider its controversial ban on Swedish snus, in a move greeted with dismay by harm reduction supporters. Meanwhile the US CDC continues to push the narrative of a “teen vaping epidemic” using widely discredited statistics. Welcome to the carefully considered decision of New Zealand’s public health gauleiters. Yes folks, they’re going to ban something they know isn’t harmful because, y’know, precaution. Just let’s be clear about this – every single drug introduced onto the market would need banning under this principle. No clinical trial, no epidemiological analysis, no Cochrane Review, no metanalysis and no research appraisal can eliminate the possibility that, in some way, there might be harm. As some of you know, Clive Bates puts out a weekly somewhat-annotated list of PubMed-indexed articles that are related to low-risk tobacco products and/or tobacco harm reduction (the search string for that appears at the end of what follow). It is a great resource; if you do not receive it, I am sure he would be glad to add you to the distribution list. As part of a planned projected that I have alluded to before, I am working on how to reinterpret this as an annotated weekly suggested reading (or knowing-about) list. Peter Walker is gifted the generous title of “businessman” as the Daily Mail “exposes” him for selling vape liquids all wrapped up in McDonald’s logos. Whatever people may feel about the irresponsible use of the logos, it provided more ammunition for the newspaper to attack vaping and accuse juice makers of targeting children. Walker runs Second Vape Ltd from his parents’ small house in Ferryhill, County Durham. Through a website that appears to have been made during the days of AOL Online, he sell equipment, liquids and a stunning range of overpriced “previously loved” mods. Juul Labs, makers of the market-leading Juul e-cigarette, has played directly into the hands of rabid public health campaigners and the Food and Drug Administration. 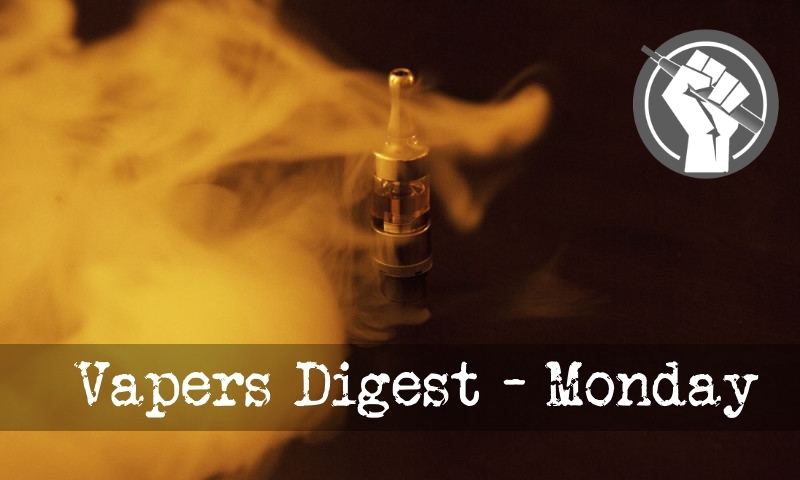 Its actions and announcement support the evidence-free policies being pushed upon the industry and constitutes a direct attack on vapers, smokers and harm reduction advocates. The company has capitulated in the face of growing hysteria rather than sticking fast to evidence and facts. It has announced it is withdrawing most of its flavoured products from retail stores and will discontinue with any social media promotions. The major U.S. tobacco companies settled litigation with the states on November 23, 1998, in what is known as the Master Settlement Agreement, which requires the tobacco companies to pay out $206 billion to the states over 25 years. Those funds have been paid out annually, basically as cash windfalls that were supposed to bankroll tobacco control and cancer research programs. However, nearly all states have diverted the money to their general funds, with their anti-tobacco programs underfunded and neglected. A NETWORK OF e-cigarette users and importers have suggested that lifting the ban on smoke-free products and issuing appropriate regulations would be a more-effective measure to discourage people from smoking rather than selling cigarettes in plain packages. The Public Health Ministry is in the process of announcing a new regulation requiring cigarettes to be sold only in plain packages, with 10 new pictures and warning messages designed by the ministry. The new regulation will come into force in 270 days after being published in the Royal Gazette. KUALA LUMPUR: The Health Ministry is in the process of drawing up legislation to manage cigarette smoking as well as the use of electronic cigarettes or vapes. A professor of public health has claimed smoking rates would be dramatically reduced if misinformation wasn’t being spread about e-cigarettes. Massey University professor of public health Marewa Glover says smokeless products like vapes are the key to reducing smoking rates, following a mere 0.6 percent decrease in smokers over the past year. “These new smokeless products that are much less harmful, they are like a flaming torch, you give everyone one of them, stand them at the top of the glacier and we would see it melt much faster,” she said.